Click here to view original web page at Who inherits your iTunes library? Part of the problem is that with digital content, one doesn’t have the same rights as with print books and CDs. Customers own a license to use the digital files — but they don’t actually own them. Apple AAPL, +0.79% and Amazon.com AMZN, +0.98% grant “nontransferable” rights to use content, so if you buy the complete works of the Beatles on iTunes, you cannot give the “White Album” to your son and “Abbey Road” to your daughter. “That account is an asset and something of value,” says Deirdre R. Wheatley-Liss, an estate-planning attorney at Fein, Such, Kahn & Shepard in Parsippany, N.J. But can it be passed on to one’s heirs? Most digital content exists in a legal black hole. “The law is light years away from catching up with the types of assets we have in the 21st Century,” says Wheatley-Liss. 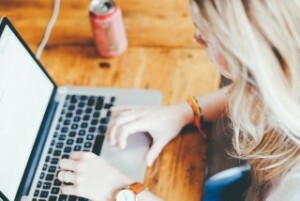 In recent years, Connecticut, Rhode Island, Indiana, Oklahoma and Idaho passed laws to allow executors and relatives access to email and social networking accounts of those who’ve died, but the regulations don’t cover digital files purchased. Apple and Amazon did not respond to requests for comment. There are still few legal and practical ways to inherit e-books and digital music, experts say. 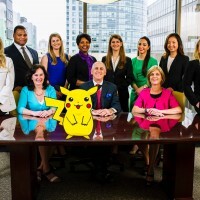 And at least one lawyer has a plan to capitalize on what may become be a burgeoning market. David Goldman, a lawyer in Jacksonville, says he will next month launch software, DapTrust, to help estate planners create a legal trust for their clients’ online accounts that hold music, e-books and movies. “With traditional estate planning and wills, there’s no way to give the right to someone to access this kind of information after you’re gone,” he says. Here’s how it works: Goldman will sell his software for $150 directly to estate planners to store and manage digital accounts and passwords. And, while there are other online safe-deposit boxes like AssetLock and ExecutorSource that already do that, Goldman says his software contains instructions to create a legal trust for accounts. “Having access to digital content and having the legal right to use it are two totally different things,” he says. The simpler alternative is to just use your loved one’s devices and accounts after they’re gone — as long as you have the right passwords. Chester Jankowski, a New York-based technology consultant, says he’d look for a way to get around the licensing code written into his 15,000 digital files. “Anyone who was tech-savvy could probably find a way to transfer those files onto their computer — without ending up in Guantanamo,” he says. But experts say there should be an easier solution, and a way such content can be transferred to another’s account or divided between several people.“We need to reform and update intellectual-property law,” says Dazza Greenwood, lecturer and researcher at Massachusetts Institute of Technology’s Media Lab. Technology pros say the need for such reform is only going to become more pressing. “A significant portion of our assets is now digital,” Carroll says. U.S. consumers spend nearly $30 on e-books and MP3 files every month, or $360 a year, according to e-commerce company Bango. Apple alone has sold 300 million iPods and 84 million iPads since their launches. Amazon doesn’t release sales figures for the Kindle Fire, but analysts estimate it has nearly a quarter of the U.S. tablet market. Say goodbye to having to die. When my grandmother passed away this year, I was devastated. She may have been in her late 80s, but her sunny personality and boundless energy made it seem like she’d would probably just live forever. My grandma was what you’d call a “silver surfer.” From the moment she inherited her daughter’s old laptop, she embraced the internet like a digital native. It wasn’t long before we were helping her set up a Facebook profile which she used to happily spend hours sharing cute animals videos and writing us sweet messages ALWAYS WRITTEN ENTIRELY IN CAPS. I gave up explaining to her that this amounted to constant shouting. She liked it that way. A few months after she’d passed away, I was a bit shocked to see her picture pop up in my notifications, reminding me that it was her birthday. I hadn’t forgotten, but it saddened me to imagine other family members whose grief was still very raw receiving similar messages. I had thought—perhaps naively—that since Facebook knew enough about my life and habits to bombard me with targeted advertisements it would also know my grandmother was no longer with us. But the bots didn’t have a clue. I looked up the procedure to report a death to Facebook, and requested that her account be “memorialized.” This means that nobody can log in to the account again, but her posts remain visible to the people they were originally shared with, and friends and family can continue to share memories on her timeline. I wanted to digitally preserve the memory of my grandmother. After making my request I almost immediately received a response from someone in Facebook’s community operations team asking me to send them her death certificate. Their response struck me as strange and insensitive—like I was making it up for some reason. Since I didn’t have that document (my grandmother lived in Brazil and I didn’t handle the funeral arrangements), I argued that they should be able to verify her passing through the evidence available on their own platform. Facebook eventually agreed, but I can’t say it was a particularly pleasant process. Technology is currently challenging our conceptualization of what it means to live—and die.“The tech industry is not really up on death,” says Stacey Pitsillides, a design lecturer at the University of Greenwich who is a PhD candidate in the field of data contextualization in digital death. Since starting her research several years ago, Pitsillides says she’s witnessed a remarkable shift: People are becoming increasingly eager to immortalize personal experiences online, just as I had felt after my grandmother’s passing. This observation prompted her to set up Love After Death, a panel showcased at FutureFest in London to help people explore how technology is becoming integrated into new forms of creative expressions around death and dying. I met Pitsillides at FutureFest, a festival of ideas sponsored by innovation charity NESTA, to discuss the concept of digital legacies. Technology is currently challenging our conceptualization of what it means to live—and die. Pitsillides believes that technology and design will play an increasingly important role in the process of morning, which she calls “creative bereavement.” “By creating a bespoke legacy agreement, it merges the concept of a design agency with funeral director,” she said. But wait—holograms? Memorial implants? Was this for real? “You could have a surface-level or below-skin digital tattoo that could be matched to that of a loved one,” Pitsillides explained. Using simple technologies, you could add content to these digital mementos throughout your life and then have them activated after your death. This activation could either be triggered by the executor of your will—over 19 US states have already put forward laws to recognize the deceased’s digital legacy as part of their estate—or we could evolve AI systems to recognize cues when this should happen. At that point, certain content could become available to the people you’d predetermined, depending on the stipulations you left in your digital will. It’s basically the futuristic, high-tech version of wearing half of your lover’s heart-shaped locket. These tattoos and implants could even be programmed to trigger only in the context of certain events. For example, when walking past the special spot where a now-passed husband proposed to his wife, his widow’s digital tattoo could change color or bloom into the pattern of her favorite flower, and “their” song could start playing on her phone. Or a father could still “be there” to deliver the speech at his daughter’s wedding via hologram, or greet the arrival of his first grandchild with a pre-recorded message. An increasingly popular service is using 3D printing to create personalized mementos for your friends and family using human ashes.While these memorialization usages are still conceptual, the technology itself is already fairly mature. For example, we already have technology that allows for smart epidermal electronics to collect and record information about users, reacting to this data in a wide variety of programmable ways: Think of IoT devices like Dexcom that continuously monitor glucose levels for diabetes patients, allowing them to track their blood sugar via apps linked to wearables like the Apple Watch. Instead of being focused on what our minds and bodies are doing in the present moment, these tactile technologies could help us build and enhance connections with people both during life and after death. As more people embrace the idea that death in the digital age is not just about looking back at the past, they will begin to realize that it’s just as much about the future. We’re already seeing people grapple with this concept in terms of what happens to our bodies after we die. Nowadays your ashes can be turned into building blocks for a coral reef or a beautiful fireworks display, but there’s a whole other after-world emerging courtesy of technology. For example, an increasingly popular service is using 3D printing to create personalized mementos for your friends and family using human ashes. Since such a large percentage of our lives and interactions are now conducted online, we are constantly forced to reassess our meaning of self and identity. Is our online identity the most accurate reflection of our true selves? And, if so, can it “live” independently from our physical bodies? The answer is potentially yes. The connections we build and share can—now quite literally—take on a life of their own. For example, websites like LifeNaut offer services that allow you to create a “mind file” that supposedly enables future scenarios around reanimation through “downloading” your memories to a robot or clone vessel of some sort. We might not yet be at the stage where robotics and AI enable the Black Mirror scenario where life-like replicants of loved ones can be created from their social media profiles. But it’s no exaggeration to say that, for better or for worse, our digital footprint already outlives our biological self. “We are moving toward a society where the dead are not banished but remain present in our lives as sources of guidance, role models, and as an embodiment of particular values and life lessons,” Pitsillides said. But is that what we really want? The ability to live forever through technology raises difficult questions such as whether it is our memories that make us who we are, whether our loved ones would accept this “new” version of us, and who should control consent to make these kinds of decisions after death. This kind of permanence may be appealing for some, but for others the possibility of a digital presence continuously and independently evolving is quite disturbing. Most of us avoid thinking about our own mortality until it stares us in the face. As someone who spends most of my time online, I’m unsettled by this idea of not being in control of my online persona once I die—even if I wouldn’t be in a position to care, at that point. But having experienced the enduring joy that my grandmother’s Facebook memories have brought to our family, it makes me think that my digital legacy is something worth preserving. And now I have the first steps to know how to do just that. You can follow Alice on Twitter at @AliceBonasio. We welcome your comments at ideas@qz.com. The digital asset assault is on and the FBI wants the key to the kingdom of your digital assets too. The current battle between Apple and the FBI is just the tip of the iceberg of the government’s desire not to protect your digital assets. What are my digital assets you ask? 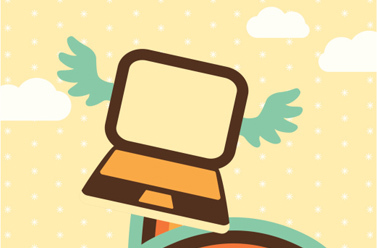 Digital assets are every computing device you own, desk top, pad, smart phone, private servers, plus all of the information you store on these devices and on any cloud storage site such as, all social media, picture sites, banking sites, investment sites, email sites, domain names….get the picture? As of today, there are no laws in this country at the Federal or State level which protect your digital assets. Some States have enacted meager laws that mostly address email accounts, but they are mostly ineffective for you. What is happening is that States are waiting for those on Capitol Hill to make laws, at which time they will adopt some or all of that verbiage. Here in Oregon, the Senate bill has just been sitting there without activity, just waiting. Meanwhile, those Americans who are passing away everyday are putting their family members under a great burden to try and access digital information of their loved ones. There is a work around to all of these shenanigans. First, you need to keep track of all of your usernames and passwords. 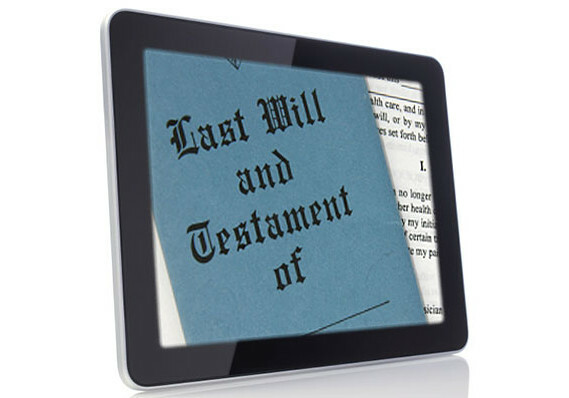 Second, you need to add the specific verbiage to your estate plan that covers all of the necessary digital assets. Third, you need to legally appoint someone to access these user names and passwords to the sites and devices should you become incapacitated or worse. You will also need to supply a list of these user names and passwords. There are several ways to do this and still be secure. By doing this you have created your own very binding laws. If you have an estate lawyer ask yourself this question…. Has my lawyer called me to inform me of this? We’ll bet most of you just said no. It’s a better business model to say nothing, either on purpose, or through ignorance to make more money by trying to bail your loved ones out once it’s too late. 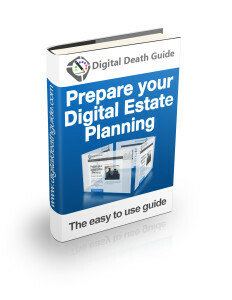 If the thought of estate planning is new to you, please download our free e-book, “Points in Time” here https://alegacyundone.com/points-in-time/ . This will reveal how to always have your affairs in order as you move through life and the importance of family discussion about finances and family protection through the laws of this great land. Last month, several media outlets reported that Apple required a Canadian woman to get a court order before gaining access to her deceased husband’s iPad. According to reports, the woman simply wanted to play card games her husband had downloaded to the tablet. While that incident seemed particularly egregious, orphaned passwords and social media accounts occur with greater regularity. For example, it’s not unusual to hear anecdotes about Facebook urging people to wish happy birthday to a deceased friend or relative. Such events may bring up strong emotions. But orphaned social media accounts may be less worrisome than lack of access to passwords and other digital assets after an investor dies. Many investors understand the need to update their account beneficiaries or plan for tax consequences of passing along money to heirs. However, when it comes to leaving easy access to passwords and digital account information, many people fall short. Gathering passwords and lists of online accounts may save survivors the effort of making stressful calls or waiting for a death certificate before accessing important data. With online bill paying and investment-account management so prevalent, lack of access causes serious problems for survivors unable to log in and process transactions like paying monthly bills. In the future, service providers, such as financial advisors or estate attorneys, may play a greater role in helping clients pass along digital information, says Keith Fenstad, partner at Tanglewood Wealth Management in Houston. “Login info is unique to each person, and we are not privy to it, so we don’t directly provide that info to anyone. However, as a part of their planning, clients should consider putting together an inventory of all this info. User names, passwords, location of account, answers to security questions would all be valuable to executors and/or heirs,” Fenstad says. He adds that people may also wish to leave a list of all their devices, such as phones, laptops or tablets, along with screen lock passwords. Fenstad notes that many social media accounts also contain personal data that must be protected. “Think of how we are living our lives through pics and videos, and how valuable that would be for our loved ones,” he says. He suggests that people specify how they would like social media accounts handled after their death. For example, accounts may be deleted entirely, the information passed along to heirs or the account transformed into a virtual memorial. Cataloging passwords and other information may be relevant in work situations as well, should an account owner die suddenly. Aaron Klein, CEO of Auburn, California-based Riskalyze, which helps financial advisors determine investor risk tolerance, found that a disorganized array of passwords made it difficult for co-workers to share information. “As the CEO of a financial technology company, I’ve got passwords and access codes for personal and company finances and much more. My executive assistant and [chief financial officer] needed access to some of them. And they were a mishmash of trouble – too simple, all the same, shared over text message,” he says. Klein acknowledges that the process of collecting and streamlining passwords isn’t pleasant, but it is worthwhile. He implemented LastPass, which allows users to digitally store and manage passwords. “I won’t lie – it was hell for a solid week while I changed my passwords everywhere by generating new, secure ones in the app. But now that it’s done, it just feels so good to know that I’ve done everything I can to keep my digital life and my company’s finances safe and secure. And as a bonus, about 80 percent of the time I can auto-fill passwords on my iPhone and iPad using my fingerprint,” Klein says. 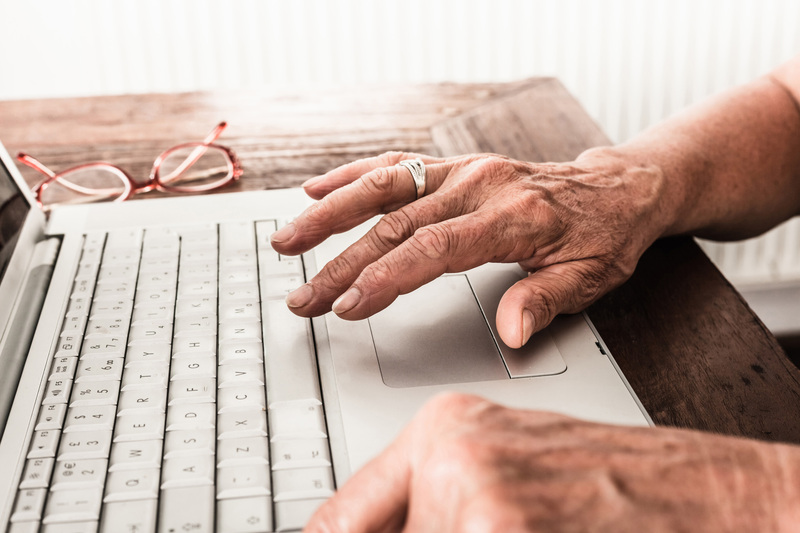 While younger generations are more attuned to the significance of their devices and passwords, today’s generation of retirees may not think about that so readily. “Unfortunately, too many retirees don’t go the extra step of getting their loved ones and professionals on the same page before an unexpected crisis like a death or a disability,” says Tom West, senior associate at Signature Estate & Investment Advisors, in Tysons Corner, Virginia. Those steps include being transparent about priorities. In other words, don’t leave survivors guessing about your wishes for any of your assets, including the intangible, such as online accounts. Sharing information with the appropriate parties, such as attorneys or financial advisors, is a crucial part of the process, West says. In addition, families must be informed of which outside parties possess relevant information. “Retirees need to take responsibility to identify to all relevant parties what their roles might be in the circumstance of some big change. Families need to know the identity of aligned professionals before something happens as well as the location of legal documents that can aid them in times of crisis,” he says. West says information may be transmitted in a family meeting or simply via a written list of professional contact information that accompanies legal documents and household financial information.